With the start of the new year, it’s a good time to take a look at what the future may hold for document management and document conversion. Here are six educated predictions on the trends that will impact upon companies and organizations of all sizes, across almost all industries. Companies who don’t digitize their operations and documents will be left behind. Companies across most industries – from financial services to creative services, to the medical industry – are in the midst of a major shift from dealing with physical documentation to digital. While some industries are on the cutting edge and some lag behind, there’s no question that document digitization can streamline your operations, freeing up resources to focus towards your core business initiatives. If a major competitor beats you to the punch, that can leave your business in a bad position to service the rapidly changing expectations of your client and customer base. Taking your operations digital can have other benefits, as well: some of the most successful organizations in business today place a high emphasis on employee collaboration, which can help to increase productivity; not to mention the long-term cost savings of reducing your business’s dependence on paper. Paper will not go away completely (not yet), so effective digitization will be crucial. The dream of the paperless office is something that futurists have been predicting for at least as long as the personal computer has been on desks. Most likely, that notion will remain a dream for at least the next generation. Paper is just too entrenched in many large organizations, and the time and resources required to eliminate it completely are daunting for many organizations. What is likely, however, is a continual, significant reduction in the amount of paper used in day-to-day operations of most companies. Software like Peernet’s Document Conversion Service makes it so straightforward for businesses to easily digitize their documents that starting the process now instead of trying to catch up later on is a no-brainer. The popular document formats will remain popular for the foreseeable future. While it’s impossible to say with absolute certainty that some revolutionary format won’t come along tomorrow, the safe money’s on PDF and TIFF being the dominant document management formats in business for at least the next ten years. Why? Because they have the established scale of already being used by several millions organizations around the world, and even more importantly, they’re very good at what they’re intended to do. People will increasingly demand perfectly-formatted information on any device. In case you hadn’t noticed, the devices that we use to consumer personal media keep shrinking. The idea of “Bring Your Own Device” has been a hot topic in the world of Information Technology for many years now, and it’s becoming more and more common for people to be using an array of different devices in their office environments. For organizations who deal with large quantities of documentation daily, that means that formats which maintain document layout (like PDF and TIFF) may be preferred, given the wide variety of devices, screen sizes and resolutions that employees will be using. Document security will be more and more vital. Corporate data breaches are increasingly making headlines, and that’s indicative of the fact that so many businesses have sensitive customer information stored on computers now. High quality IT security is already essential for these companies, but we’ll likely see even more of an emphasis on keeping businesses secure from digital attacks as hacking becomes more sophisticated and consumer trust continues to erode. One element of protecting your business’s documents is to use a format like baseline TIFF – ideal for this modern era because viruses and harmful malware cannot be embedded in it. Effective Document Organization and Management Will Separate the Best From the Rest. Organizations that devote a relatively small amount of time and resources to maintaining an effective document structure will certainly see it pay off in the end. This includes establishing a naming structure for easy document retrieval, using formats such as PDF and TIFF, automating document conversion, and more. The less time spent on the minutia of searching, accessing and retrieving the appropriate documents, the more time and resources businesses have to devote to their core operations. Document Conversion and Document Management: Don’t Get Left Behind. Now is the perfect time to put your organization on track to manage the changes that document digitization is affecting in the modern business world. PEERNET makes it easy for your company to batch convert documents with industry-leading software like Document Conversion Service. 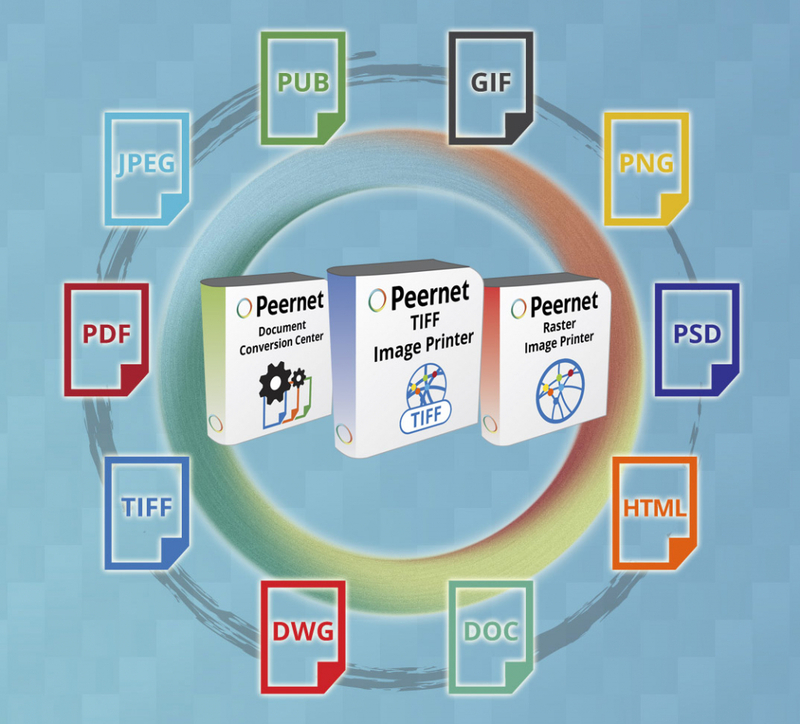 Get started with a trial download today, or contact PEERNET for more information on how we can help your business make the leap into modern document conversion and management.